As it turns out, Motorola’s teaser invites did have a hidden message, and the company went out and announced three phones today. We already told you about the Moto G (3rd gen) and as it appears, the constant leaks surrounding it were mostly a distraction from even more intriguing announcements. 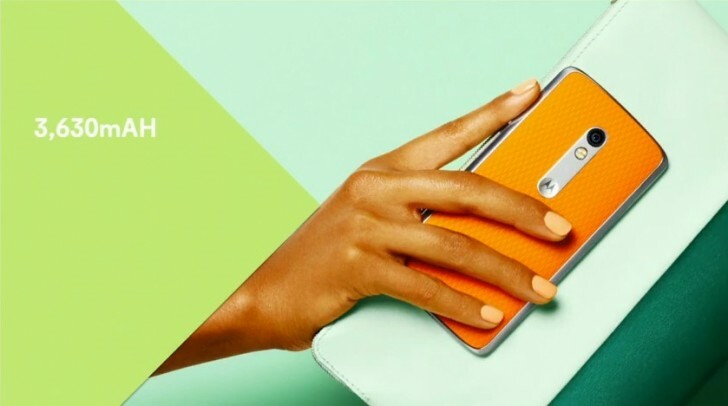 Motorola unveiled today the Moto X Style and Moto X Play – a flagship and an upper-midranger with plenty of “best-in-class” features, as the presenters were keen to point out on numerous occasions. 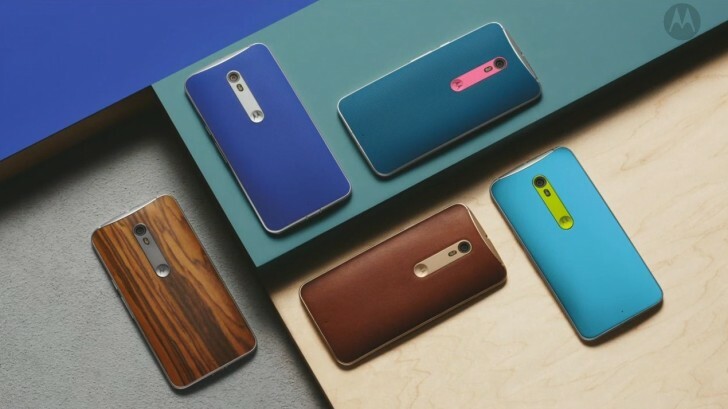 The Moto X Style is the top model of the bunch, with the specs to prove it. It comes with a 5.7-inch QHD display with an exemplary 76% screen-to-body ratio. 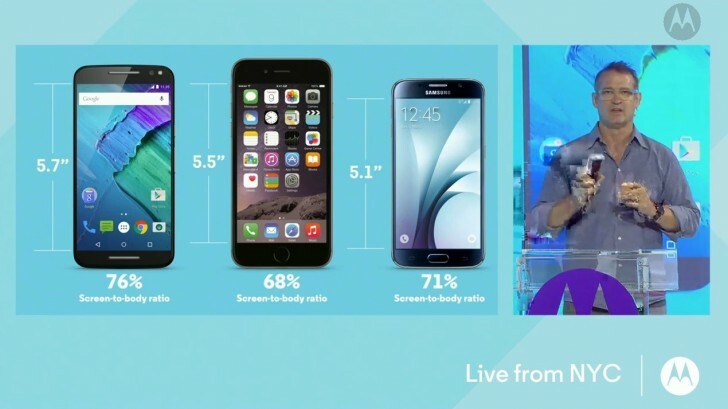 Motorola has managed to retain the front-facing stereo speakers as well, which makes the comparison to the Apple iPhone 6s and Samsung Galaxy S6 even more impressive. The smartphone is powered by Snapdragon 808, a notch below Qualcomm’s flagship S810, but also LG’s choice for their current top model, the G4. There’s a 1.8GHz hexa-core CPU inside the chip, complemented by 3GB of RAM. Three storage options will be available, and the built-in 16/32/64GB will be expandable by up to 128GB via microSD. The Moto X Style sports a 21MP primary camera, with an f/2.0 lens and phase detection autofocus, joined by what's dubbed a Dual Color Correlated Temperature (CCT) flash. Of course, the camera is capable of recording 4K video, in HDR too. Motorola stresses that DxO rated the Moto X Style’s camera as one of the top three cameras in the world. No such claims are being made about the front snapper, but it does feature a 5MP sensor, 87-degree wide-angle lens, and a front-facing flash. 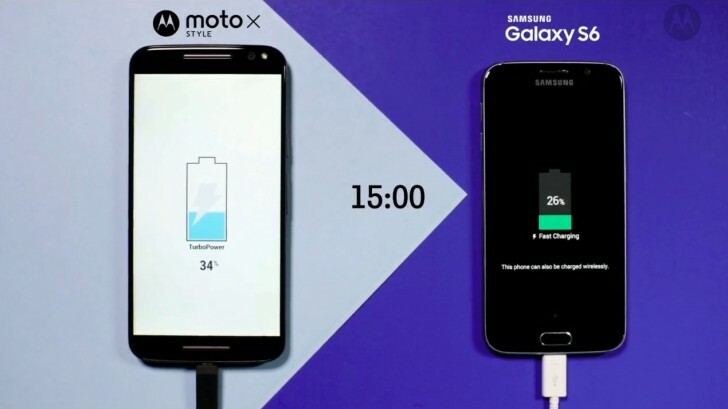 The smartphone comes with a 3,000mAh battery, which isn't record breaking but Motorola pointed out that the Moto X Style offers fast charging with a bundled TurboCharger 25, which will get you 34% of charge in as little as 15 minutes. Now, there’s a reason why it’s called the Style, and part of that lies in the smoothly curved back with finely textured silicone rubber. A multitude of colors will be available, but also real wood panels as well as high-quality Horween leather backs. Not only that, but you’ll be able to choose among three different frame color options. Exclusive to the US, there will be a Moto X Pure Edition, basically a Moto X Style, targeted at the free-spirited customer. It will be a carrier-unlocked version, sold directly from Motorola and it will support the LTE networks of all four major carriers in the country. A recurrent theme throughout Motorola’s keynote was pricing, though obvious regional considerations prevented precise numbers. 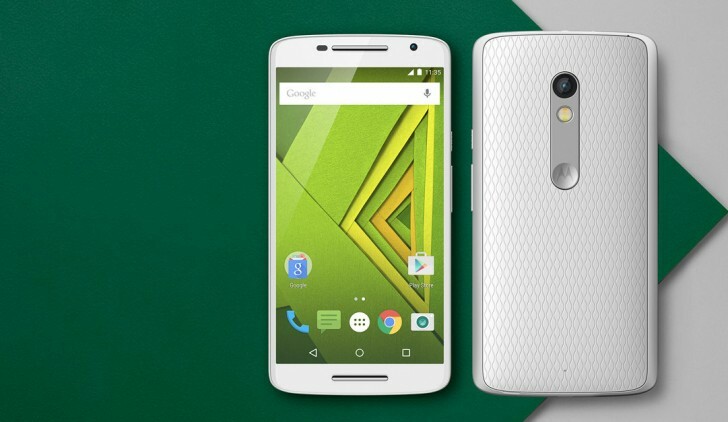 Still, the Motorola Moto X Style will cost $399 in the States, unlocked. Perhaps the only fly in the ointment is that you won’t be able to get one until September. The Moto X Play is the lower-specced of the two Xs but it does offer a balanced package geared towards better longevity. This model comes with a slightly smaller 5.5-inch FullHD display, Snapdragon 615 chipset and 2GB of RAM. Only two storage options are present - 16GB and 32GB, but the microSD slot can provide an additional 128GB. The 21MP f/2.0 camera has been carried over from the Style, though video capture is limited to 1080p (the S615 doesn’t support 2160p on a hardware level). The front shooter is a 5MP unit again, though it’s lost the flash in this model. It is battery life Motorola is after with this one, and it comes with a 3,630mAh battery, which the company claims is good for 48 hours of mixed use. There’s fast charging supported, though the TurboCharger 15 is optional. 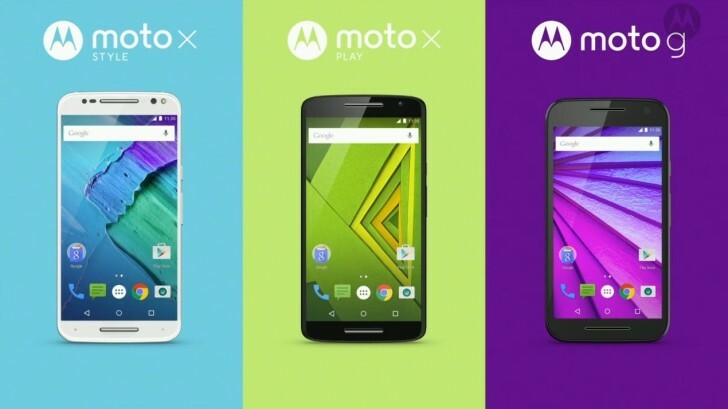 The Moto X Play will cost $299 and will be available sooner, with 60 countries globally getting it in August.